2015 was a fantastic reading year for me. I've read over 150 books, I've started more, I've given up on some, others I have adored, some I will remember for many many years. My blog has almost hit the 300,000 view mark, I have lots of followers, both on here and on Twitter. 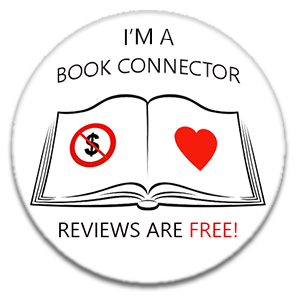 I've done lots of work with Book Connectors; helping Bloggers and Authors to connect. I've shouted about books, I've cried over books, I've been completely consumed by books. I've been to lots of book events. I've met new authors and new publishers. I've made friends, I've drunk wine and eaten canapes. 2015 has been a very good book year. It's difficult to choose favourite books, and like last year, I've made a list of my top fifteen reads. These are the books that had the most impact on me, the books that I've remembered the most, the books that if I had the time, I would sit down and read all over again. There were many other books that almost made the list, and it's incredibly hard not to include all of them. I've also read a few books that are due to be published in 2016, and I am certain that some of those will go on to be smash hits. I've mentioned them at the beginning of my post. I'm sending a huge thanks to all of the authors and publishers who continue to feed my book hunger, and to my fellow bloggers and the authors who are so supportive and helpful and have made Book Connectors the most fabulous, funny, and connective no-rules group on Facebook ... and to my special book friend Nina, my 'book sister' who adds a touch of sparkle to bookish events and has shown me how to cross the busy London streets, even when the green man is not flashing! 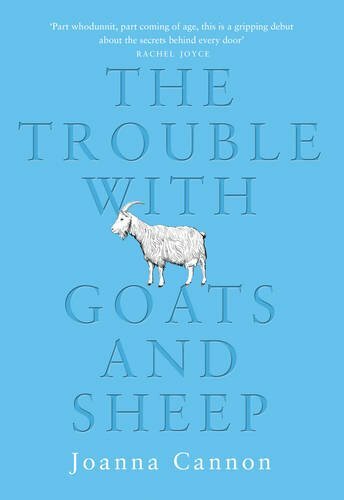 The Trouble With Goats and Sheep is quite extraordinary. It is a very special novel that should be savoured. This is an ambitious story, but also a beautiful story. B A Paris is a very very gifted author. This story is incredibly well written and deals with the darkest and most evil of issues. Francesca Kay's writing is distinctive and forceful. Her sense of place is impeccable and her characters are carefully created. The Long Room is elegant, sensitive and intelligent. I enjoyed it so very much. My favourite books of 2015, listed in the order that I read them. Please click on the title of the book to read my full review. This really is a beautiful book. At times it is bleak, but it is incredibly moving and funny, there are times when you will feel like your heart is breaking, you will read the final page and feel like you have been punched, hard, right in the face. You will also recognise the kindness of humanity, the importance of family, and the benefit of laughter. 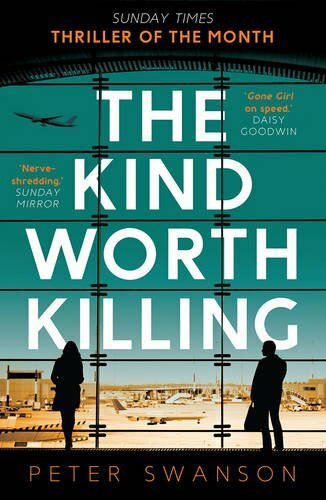 The Kind Worth Killing is a study of the human psyche, it is also psychologically challenging and an excellent thriller. Intelligent, surprising and incredibly moreish. 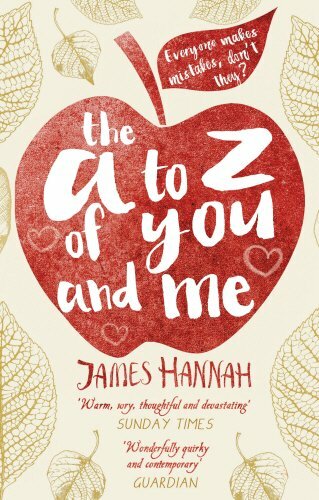 James Hannah writes with a bluntness that can be startling, but coupled with the setting and the extraordinarily likeable characters, it really does work. The story is sad, yet uplifting. The characters are flawed, yet human. The setting is a place of endings, yet it is beautifully calm, and at times filled with humour and lots of love. A Place Called Winter is emotive and beautiful. 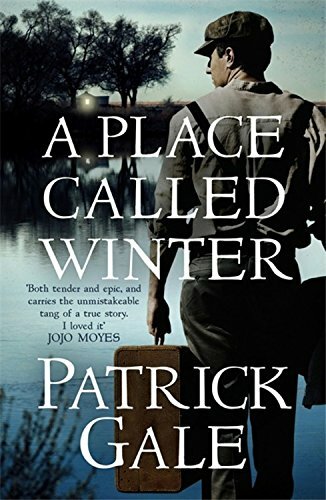 Patrick Gale is a genius storyteller, he has created one of the most stunning and moving novels that I have read in many, many years. His sense of timing, his ability to create a setting that engulfs the reader is a triumph. Iona Grey handles issues with grace and elegance, her story telling skills are very impressive, she has written a novel that is quite stunning and very memorable. ..... I loved it. It's one of those books that stay there, in the corner of your mind, niggling away, making you think and wonder, and yes, making you feel a little bit uneasy. This really is perfect storytelling, warm and funny, and mysterious, and downright terrifying in places. Cesca Major is a huge talent. She has an incredible way with words, and has created a love story that is memorable. This is an incredible story, one that will affect the reader for a long time after the final page is turned. 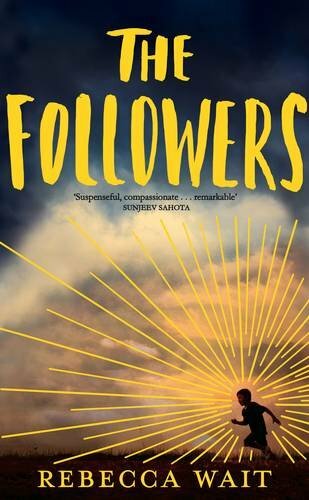 The Followers is written simply, it is incredibly easy to read which only makes it more extraordinary in how brilliant it is. It is gripping, clever and so wonderfully told. Another triumph for this incredibly talented young author. Flight is exquisitely written. 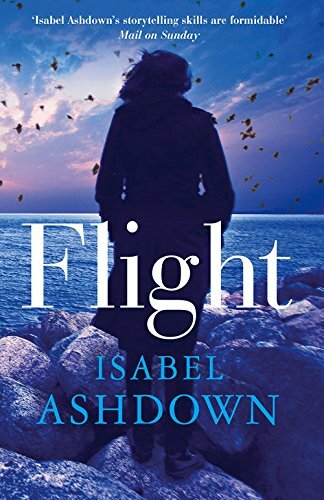 Isabel Ashdown is a very accomplished author and has created a complex, yet beautifully woven story of love and relationships that is both heart-breaking and thought-provoking. Her characters are imperfect, somewhat flawed, but oh so human. The story flows perfectly and the ending is unexpected, yet quite perfect. Her writing is honest, and breathtaking, and touching and incredibly moving, yet it is not in the least bit dramatic or self-pitying. Cathy doesn't gloss over the facts, or try to hide her feelings, she is quite brutal with herself at times. 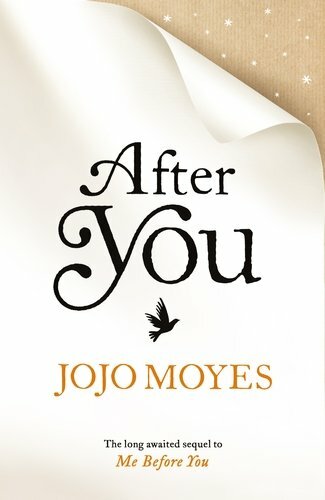 After You is a triumphant return for Lou Clark, for Jojo Moyes, and for her readers. I loved every page, it is thought-provoking, totally absorbing and extremely satisfying. Asking For It is a bang up-to-date story. 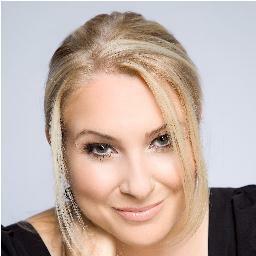 Louise O'Neill the issues that remain in our society today. This book is an incredibly well written, very brave and extremely important one. There are moments where my heart beat so fast, I actually felt quite sick. The author hooks you and reels you in, and it is almost impossible to get this story out of your head. Twists and turns a plenty. This is a totally gripping and engrossing story. It is 1963, and in her mansion in the foothills of the Pyrenees, Joana idles her days away, banished by her powerful husband and alienated from her family. Meanwhile, in Barcelona, her daughter Carla is impoverished and in trouble. Hating all her parents stand for, Carla has embraced the student movement against the Franco regime, but her father has been watching her, and, just before their wedding, her beloved fiance is arrested. Pregnant Carla runs to Grandmother Maria, terrified, powerless to help either Luc or herself. Maria shelters her but they know their movements are still being followed. Why did her daughter Joana marry into the Franco regime and abandon her family? Maria has never understood. This is the story of three generations of women, torn apart by the Spanish Civil War, and by one determined man. It takes the arrival of an unknown cousin for them to start building bridges. Martin carries his own ghosts, but he has come looking for his family, and his belief in them helps them unite to face the enemy together, one autumn in Catalonia. 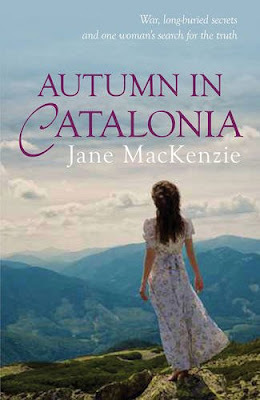 Autumn in Catalonia by Jane MacKenzie was published in paperback by Allison & Busby on 22 October 2015, and is the sequel to Daughter of Catalonia which I reviewed here on Random Things in April 2014. I enjoyed Jane MacKenzie's first novel; Daughter of Catalonia, so was delighted to be given the opportunity to read and review her next instalment, and once again I have been transported across Europe to an era that I knew little about and a region that is beautifully described. The story opens in Barcelona in the early 1960s. General Franco is still in power and Carla is a student who is totally against the regime. Carla and her boyfriend Luc are active members of the student movement against the Government, but Carla's father is a very important man who ensures that Carla's heart will be broken when he makes sure that Luc disappears. Carla finds solace with her Grandmother Marie. They have been estranged for many years, but Carla's father has finally managed to kill any love or loyalty she had for him, and she finds herself cast out of the family. When a young man; Martin arrives and informs her that he is her cousin, Carla becomes determined to find out more about her heritage, and to discover what it was that made her mother cast aside her loving family and marry such an evil and cruel man. Jane MacKenzie takes the reader and plunges them into the heart of a beautiful country that has been torn apart by the Civil War. Her descriptions of the small towns, the beautiful countryside and the oppressive regime are wonderfully drawn. The pain and horrors experienced by this one family are brilliantly depicted; colourful and authentically detailed. The author has written a powerful story of love and family dynamics, it is both gripping and captivating. Skilfully constructed and immensely satisfying. My thanks to the author and publisher who sent my copy for review. 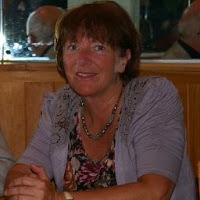 Jane MacKenzie has always had a love of languages and speaks fluent French. Much of her adult life has been spent travelling the world, teaching English and French everywhere from the Gambia to Papua New Guinea to Bahrain, and recently working for two years at CERN in Geneva. She now splits her time between her self-built house in Collioure, France and the Highlands of Scotland, where he has made her family home. Baguette is just a regular house cat. He likes to sit in the window, watch the birds, and eat three square meals a day. What what's a regular house cat to do if he falls in love with a beautiful street cat who has some very strange - and really rather dangerous - demands? Baguette must travel back through the Ocean of Time to the lost island of Catlantis. He must find a way to save the nine lives of all cats before it is too late. And he must outwit the wicked black cat Noir, who is hot on his tail. Only then can he hope to win the paw of Purriana. 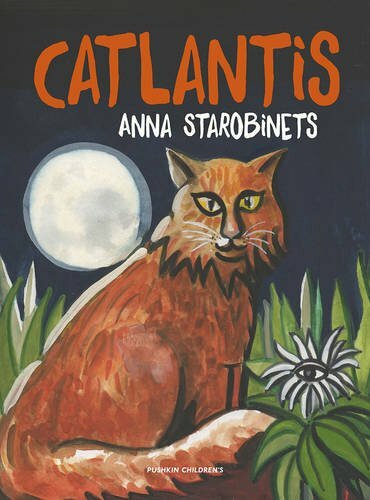 Catlantis was published in hardback by Pushkin Press on 22 October 2015. It is written by Anna Starbinets, illustrated and designed by Andrzej Klimowski and translated by Jane Bugaeva. Catlantis is a short, but incredibly beautiful story of the most heroic and brave cat; Baguette. He likes to spend his days on the windowsill, looking out as the world goes about its business. He likes his food and his human family, but he loves Purriana. Purriana is a sleek and gorgeous street cat, and Baguette would like to spend the rest of his days with her. But how can a house cat win the heart of a beauty such as Purriana, and espcially when he has a rival in the sly and conniving black cat Noir? There is only one way to become Purriana's hero and that is to return through time to Catlantis and to recover the flower that will ensure that all cats, for all time, will have nine lives. And so, Baguette embarks on an exciting journey where he faces the most terrifying of tests, and has to evade the obstacles that the evil Noir puts in his way. Catlantis is a wonderful story, and the illustrations throughout are fabulous. This is a story that will delight children of all ages, and adults too. Baguettte is a heroic cat who readers will cheer on throughout his journey, whilst hissing at the villainous Noir. A delightful book that would make a lovely gift for all. Anna Starobinets is an acclaimed, award-winning Russian novelist, children's author, scriptwriter and journalist. She is perhaps best known as a writer of dystopian and metaphysical novels and short stories, and has been called 'the Russian Queen of Horror'. Catlantis is her second children's book. On the day Hannah is finally going to tell her husband she's leaving him, he has a stroke ..... and life changes in an instant. Hannah is trapped. It's shocking - Tom's only 32. She knows she can't give up on him now and suddenly she has to put her plans on hold to care for the husband she was ready to walk away from. She's his entire world. Tom can't walk, cut up his own food or go to work. But now he has the time and fresh perspective to re-evaluate his life, and he is determined to save his marriage. Can he once again become the man his wife fell in love with, or has he left it too late? 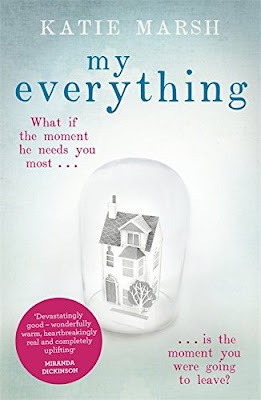 My Everything was published in paperback on 27 August 2015 by Hodder and is Katie Marsh's debut novel. I have to admit that my copy of My Everything has been sitting on the 'to be read' pile for some months now. I love the cover, I love the blurb. I was intrigued and had heard nothing but great things about it, but the premise touched a couple of raw nerves for me. Finally, last week, I picked it up, took a deep breath and began to read ..... and read ..... and read. I read at every available moment, I really didn't want to stop reading. I was absolutely swamped by the story; by the characters, and yes, by the premise that scared me so much at the beginning. There are two themes that run through My Everything. First we have an unhappy young wife; Hannah and Tom have only been married for four years, but things are not going well. The Tom that Hannah fell in love with has disappeared. The Tom that she shares her life with these days is angry, spiteful, tired, cruel and seems uninterested in her. She's made the decision to leave him, and she is going to tell him today. Then we have the second theme, the thing that happens to Tom on the morning that Hannah was going to announce that their marriage was over. That she was moving on, taking a job on the other side of the world. Finished, over, the end. Tom has a stroke. Thirty two year old Tom, the football player, the successful and seemingly healthy young lawyer lays on the bedroom floor. Unable to move, unable to form his words, paralysed. Hannah is terrified. She is consumed by guilt, but also by loathing and fear. She knows that she cannot leave him now. She abandons her plans and vows to stay with Tom, to see him through this awful time. She puts her own needs to the back of her mind and appears to everyone as the worried and dutiful wife. Katie Marsh is a hugely talented new author. My Everything is cleverly constructed; relaying the story of Tom's illness and his slow recovery and interspersed with snippets from Tom and Hannah's earlier years. Each alternative chapter features an item from their past; a lighter, a ticket to a football match, an order of service. Each item is a chapter in Tom and Hannah's romance and the reader learns about their love, their closeness. We discover how they laughed together and cried together, how they married and then how they began to fall apart. Tom and Hannah are fabulous characters, I loved both of them, despite their faults and their annoyances, for me, this just made them more lovable, more real and more believable. The supporting cast of characters are wonderful, and Tom's younger sister Julie almost steals the whole show from Tom and Hannah. Her teenage angst and her terrible decisions are a cover for her inner vulnerability and sadness and although there are times that the reader despairs at her actions, she's really not difficult to love. My Everything is a story of how two people who are madly in love can drift apart until the gap seems so wide that it is almost impossible to imagine a future together. It is a story that could be devastating, but is in fact, hugely inspiring, proving love and forgiveness can overcome the most difficult of situations. Funny, warm, skilfully written and beautifully observed, My Everything is a joy to read. A fabulous debut. Katie Marsh lives in south-west London with her husband and daughter. 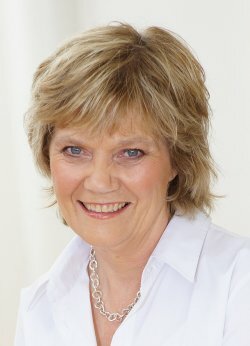 As well as writing novels she has a career in healthcare, and My Everything was inspired by the bravery of the patients she met while working in stroke services. Katie loves strong coffee, stealing her husband's toast and the feel of a blank page, and is frequently to be found in local parks pretending to be more grown up than her daughter. Celia Mulligan is madly in love with Andy McCadden and is thrilled when he proposes to her, but her father will have no daughter of his marrying a mere farmhand. Defying his wishes, Celia and Andy elope by ship to England. While on board, Celia meets Annabel, a demure young woman who shares with her the awful secret of her pregnancy. A friend of her father's forced himself upon her and she has been left alone to deal with the shameful truth. 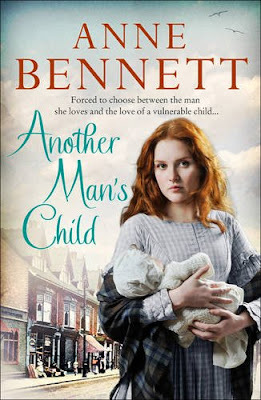 Another Man's Child by Anne Bennett was published in paperback by HarperFiction on 19 November 2015 and is the author's nineteenth novel. It's a long long time since I last read a book by Anne Bennett, when I look back at my reading list, I see that it's been almost ten years ... crikey, where does time go to? Years ago, most of my reading was made up of romance and sagas, I inherited that love from my Mother who introduced me to Catherine Cookson and Josephine Cox many many years ago. 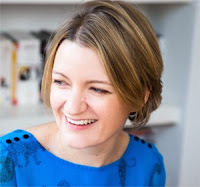 In recent years, especially since I began this blog, my reading has changed considerably, and my old favourites have been left along the way side. I know it's the weekend before Christmas, and we are all supposed to be rushing around the shops in a frantic panic; making sure that we have satsumas, brussels sprouts and dates, but I've spent most of Saturday evening and Sunday morning wrapped up in Another Man's Child. It has been the perfect story for me; easy to read with warm and comforting characters and an opportunity to revisit my mother's homeland of County Donegal, Ireland too. Another Man's Child is based on a true story from Anne Bennett's family history, and it is this that adds another layer to the telling. The heart of the story is that age-old romantic problem; that of the disapproving father and the lovers who are determined to be together, what ever it takes. Celia and Andy are very much in love, but Andy is just a poor farmhand and Celia's father is furious at the thought of his daughter lowering herself by marrying him. Celia and Andy do what many have done before them, and more will do in the future. They take a boat to England, a place that promises them a future together, with nobody to judge them or their love. Whilst travelling, Celia forms a friendship with Annabel; a lady who has found herself in a terrible situation. Annabel offers Celia a job as her maid, and Andy, knowing that this will help him to find work once in England encourages her to accept. The story takes many twists and turns, and Celia's strength as a character shines through, her fortitude and resilience are tested and proved by events that none of them could foresee. Another Man's Child is a story of hope and loyalty and overcoming the odds. Anne Bennett has a real skill, and creates warm and lifelike characters who the reader can relate to and cheer on. Her settings are fabulous; from the small town in the rugged Donegal countryside, to the sprawling city of Birmingham. The writing is powerful and the imagery is wonderful. This story flows seamlessly and the author has no trouble at all in engaging the reader, and sweeping them along as the characters play out a very moving and emotional story. Anne Bennett was born in a back-to-back house in the Horsefair district of Birmingham. The daughter of Roman Catholic, Irish immigrants, she grew up in a tight-knit community where she was taught to be proud of her heritage. She considers herself to be an Irish Brummie and feels therefore that she has a foot in both cultures. For many years she taught in schools to the north of Birmingham. An accident put paid to her teaching career and, after moving to North Wales, Anne turned to the other great love of her life and began to write seriously. In 2006, after 16 years in a wheelchair, she miraculously regained her ability to walk. In the hilltop villa with its spectacular views across rolling countryside to the straits of Gibraltar, Lucy anxiously waits the arrival of her brother and sister. They're spending the weekend together to say farewell to Casa de Suenos, the house in the mountains of southern Spain where they grew up. Her sister, Jo, landing at the airport with her fractious four year old, dreads the prospect of this time with her family which will fulfil their mother's last instructions that they celebrate her birthday party together. Only this time their mother won't be there. 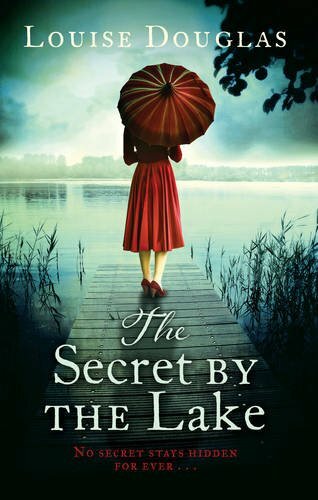 Over one long, hot weekend, past secrets will spill out, making the siblings question themselves, the choices they've made and where their future lies in this gorgeous new novel from Fanny Blake. House of Dreams was published in paperback by Orion on 5 November 2015. I'm fairly new to Fanny Blake's writing, only discovering her books for the first time earlier this year. I've read and reviewed With A Friend Like You and What Women Want and enjoyed both of them very much. 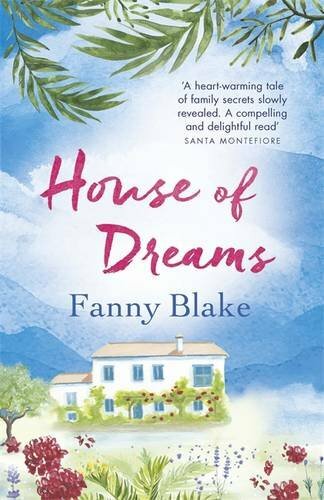 I was really looking forward to House of Dreams, and am delighted to say that it's another wonderful read from this very talented author. Lucy, Jo and Tom. Siblings who are meeting for a long weekend at their childhood home in southern Spain. They are gathering together to celebrate their mother, Hope's birthday .... and to scatter her ashes. This will be their last weekend in Casa de Suenos, their own House of Dreams, before she died Hope made it clear that she wanted them to sell the house. This weekend will be spent remembering the happy times, it will also be a painful reminder that their vibrant and loving mother is no longer with them. It will be a celebration, but it will also be a memorial. Fanny Blake excels in creating huge and colourful charismatic characters, the reader is soon absorbed into their lives, identifying with their little quirks and empathising with their sorrows. This weekend uncovers many long-hidden secrets for the family, turning their memories of Hope upside down and also helping them all to discover more about themselves and want they want from life. Although Hope dies before the story begins, she is the largest of the characters within this story. She's a little eccentric and different, sometimes selfish and unaware, but always the centre of the room. Parts of her colourful character are replicated in each of her children. The story takes place over just a few days and the author cleverly exposes each character, the reader will change their initial opinion of each of them as their inner vulnerabilites and worries are revealed. Fanny Blake explores serious themes in a most compelling way, she adds a dash of humour and creates a setting that is so sunny and warm and inviting. As in her previous novels, the female characters take centre stage and Fanny Blake always makes sure that her readers know that woman can still be fabulous, at any age. Fanny Blake was a publisher for many years, editing both fiction and non-fiction, before becoming a freelance journalist and writer. 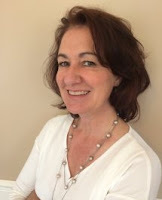 She has written various novels and non-fiction titles, acted as a ghost writer for a number of celebrities, and is also Books Editor of Woman & Home magazine. What happens to a man who has his ear pressed to the lives of others but not much life of his own? When Stephen Donaldson joins the Institute, he anticipates excitement, romance and new status. Instead he gets the tape-recorded conversations of ancient communists and ineffectual revolutionaries, until the day he is assigned a new case: the ultra-secret PHOENIX. Is PHOENIX really working for a foreign power? Stephen hardly cares; it is the voice of the target's wife that mesmerises him. This is December 1981. Bombs are exploding, a cold war is being raged, another war is just over the horizon and the nation is transfixed by weekly instalments of Brideshead Revisited. Dangerously in love, and lonely, Stephen sets himself up for a vertiginous fall that will forever change his life. 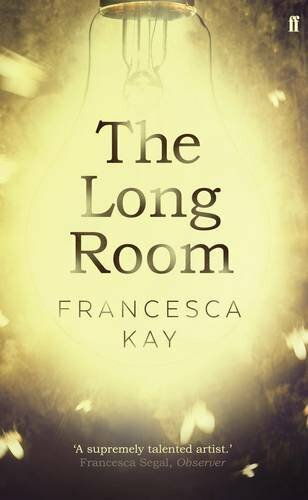 The Long Room by Francesca Kay is published on 7 January 2016 by Faber & Faber, and is the author's third novel. Stephen lives a lonely and isolated life. Each day is very much like the last; work, eat, sleep; and yet, despite his insular little world, inside his head is full of excitement and adventure, and dreams. Stephen works for the Institute, sitting in the Long Room with his colleagues, each day is taken up with the conversations of other people. With his headphones clamped firmly to his head, Stephen does not have to take part in the ordinary office banter, or mindless chit-chat, instead he immerses himself in the lives of the people that he listens to. The listeners at the Institute spend their working hours eavesdropping on people of interest; old men who were once active and well-known for their communist dealings. Stephen is expected to trawl through the daily recordings of these telephone conversations and take note of anything that may be suspicious. This is not an exciting job, and Stephen's imagination is the one thing that keeps him from going mad. When Stephen is assigned a new, top-secret case; listening in on a man only known as PHOENIX, he feels honoured and a little excited, and when he hears the voice of the target's wife Helen, he falls in love. Madly and desperately in love. Stephen's vivid imaginings create a whole personality for Helen, and Stephen is convinced that she is unhappy and mistreated. Spurred on by his love and concern for Helen, Stephen begins to take risks that he would never have contemplated before he heard her voice. Stephen has always, in the past, towed the line. His colleagues think of him as a quiet, uninteresting man who has little to say to them, but his desperate need to do something for Helen makes him push his own boundaries, until he is very close to the edge. Understated, gentle and so beautifully constructed; The Long Room is such an incredible read. Slow moving and finely woven, it explores the depths of the imagination and the impact that a voice can have on a life. Francesca Kay has created a whole world within The Long Room, there's a feeling of the 1950s to this room full of silent listeners, in the days before the world wide web and mobile technology. The darkness of the shuttered room and the secrecy of the work that they do seeps into the story and transports the reader right into the heart of the Institute. Stephen is a complex character, and the added back story, told from the point of view of his aging mother adds a layer to his character and enables the reader to empathise with him and appreciate why he sometimes acts as he does. His vulnerability and incredible naivety is astonishing, yet believable and the inevitable conclusion is heart-breaking. My thanks to Sophie and Hannah at Faber & Faber who sent my copy for review. 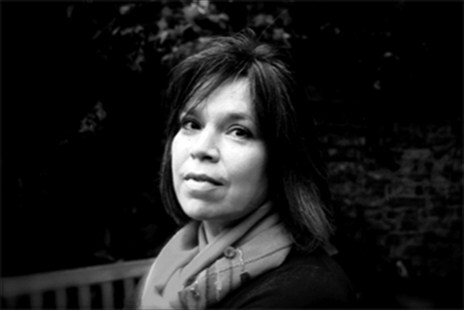 Francesca Kay's first novel, An Equal Stillness, won the Orange Award for New Writers and was nominated for the Author's Club First Novel Award and for Best First Book in the Commonwealth Writers' Prize (Europe and South Asia Region). Her second novel, The Translation of the Bones, was longlisted for the Orange Prize for Fiction. Lizzy lives with her father, Julian and her brother, Ig, in North London. Two years ago, her mother died, leaving a family bereft by her absence and house still filled with her things: for Margaret was lively, beautiful, fun, loving; she kept the family together. So Lizzy thinks. 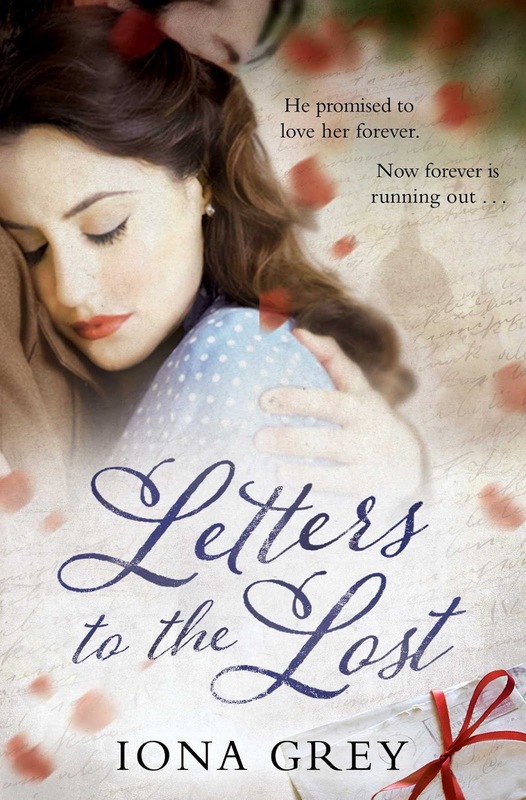 Then, one day, Lizzy finds a letter from a stranger to her father, and discovers he has another child. Lizzy invites her into their world in an act of outraged defiance. Almost immediately, she realises her mistake. Look At Me is a deft exploration of family, grief and the delicate balance between moving forward and not quite being able to leave someone behind. It is an acute portrayal of how familial upheaval can cause misunderstanding and madness, damaging those you love most. 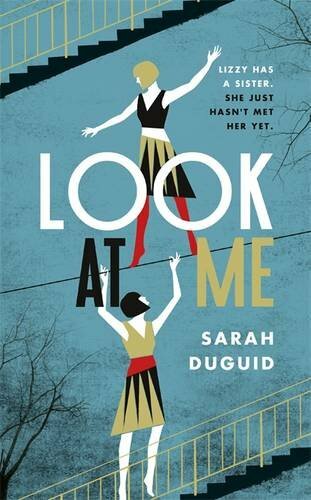 Look At Me by Sarah Duguid will be published by Tinder Press on 25 February 2016, and is the author's debut novel. Lizzie, her father Julian and her brother Ig live together in a house in North London. Lizzie and Ig are adults who didn't fly the nest. Their nest is the house that their mother Margaret made into their sanctuary during their childhood, into adulthood and then she died. Margaret lives on in their memories and their routines and in her belongings that are scattered around the house, left in the places that she put them. Lizzie feels that to disturb Margaret's belongings would disturb their memories. They have always been an unconventional family. Julian and Margaret led a bohemian lifestyle of travel and drugs, flared trousers and sheepskin jackets, swirling colours of crushed velvet and sparkling costume jewellery. Lizzie and Ig have continued this theme; Lizzie is a struggling actress whilst Ig is an alternative therapist and surrounds himself with joss sticks and meditative music. Although two years have passed since Margaret's death, the family still mourn. They feel incomplete without her presence and their comfort is in their house, surrounded by memories of her. When Lizzie discovers that Julian has another daughter; Eunice, who is younger than her, she feels angry and betrayed. She is indignant with rage and invites Eunice to their house. Eunice is a whirlwind. She's inquisitive, determined and interfering. She quickly immerses herself into this family that she has been desperate to be a part of. The impact that Eunice has is massive, the small family unit find themselves exposed and fractured by this small girl with the huge personality. Look At Me is beautifully constructed, the prose is sparse and revealing. Sarah Duguid's characters are flawed and keenly observed. 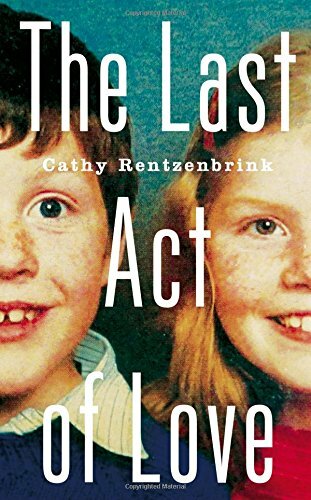 This story is a glimpse into a family that have barely papered over the cracks caused by grief, and is then fully exposed by secrets that cannot remain hidden. Lizzie's voice is strong, she is impetuous, remorseful and determined that her family will continue to mourn Margaret, yet she is also passionate and spontaneous when she becomes involved with man who remains nameless. Julian is unrepentant, a nonconformist who refuses to acknowledge that his actions have hurt and will continue to hurt those closest to him. And Eunice; the unsettling, yet lovable young woman who rocks the boat so hard, and makes waves that will change things forever. Look At Me is polished, precise and sensitive. 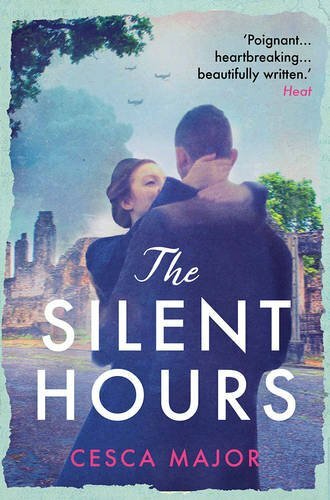 Sarah Duguid is a very skilled and capable author, this is a short novel that packs a very heavy punch. I enjoyed it very much. My thanks to Georgina at Tinder Press who sent my copy for review. Sarah Duguid grew up on a farm in North Lincolnshire and was educated in Derbyshire and at Durham University where she read English Literature. After university, she lived and worked in New York and South Africa before returning to London where she now lives with her partner and their son. She is currently working on a Masters in English at UCL as well as her second novel. Somewhere Inside of Happy by Anna McPartlin was published in Ireland on 5 November 2015, and will be released in the UK in April 2016. It is published by Transworld and is the author's seventh novel. I reviewed her last book; The Last Days of Rabbit Hayes here on Random Things in January of this year. 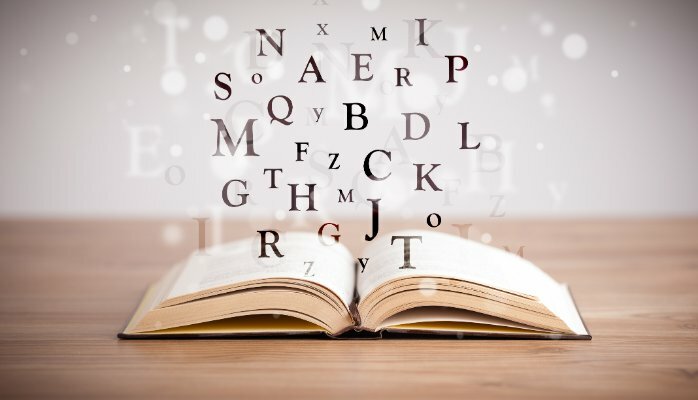 There are some books that take some time to really engage with, you need to learn a little about the characters and the plot before you can fully immerse yourself into the story. There are other books that totally embrace you immediately. Somewhere Inside of Happy is one of those books. I read the prologue and was instantly a fan of the lead character Maisie Bean Brennan. Those few opening pages are exquisite, they are the hook that snares you, and keeps you spellbound right up until the very last full stop. Maisie stands before an academic audience to launch the book that she wrote to celebrate the life of her sixteen-year-old son Jeremy who died twenty years ago. 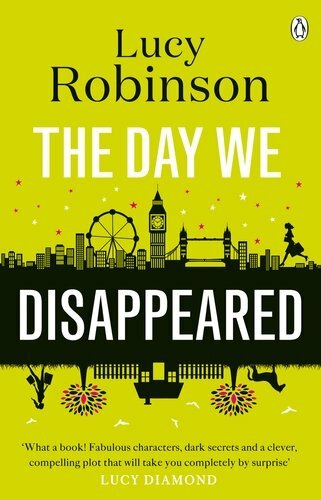 The coughs and whispers settle down, and Maisie takes a deep breath and begins to talk, The audience and the reader are then taken back to New Year's Day in 1995 and the following five days. Five days that changed Maisie's life. Jeremy was "born in violence and died in violence", yet Maisie adored her boy. His sister Valerie looked up to him, his grandmother Bridie thought he was the best and his friends respected him. Jeremy was different. He knew he was different, he struggled with being different, and being different was the reason that he died at such a young age. Somewhere Inside of Happy is told in multiple voices. Along with Maisie, the voice of Jeremy is loud and clear, and beautifully depicted. His younger, more boisterous and cheeky sister, Valerie is a larger than life character, dealing with her fading memories of the father who has been gone for so long and dealing with the guilt that she feels for still loving him, despite what he did to her Ma, and to Jeremy. Wonderful grandmother Bridie, her voice loud and clear despite the exhausting and damaging effects that Alzheimer's Disease has on her. There's Fred, wonderful, caring, kind Fred; the police officer who picked Maisie up so many times over the years, the guy who found her on the floor, broken and bleeding. We hear from friends of Jeremy; Dave and Rave; two boys with issues of their own, boys who are having to cope with hidden problems that overwhelm them whilst trying to keep up the tough-guy image to everyone around them. When Jeremy goes missing, the absolute and utter despair felt by his family as they search for him is almost tangible, and at times I thought that I couldn't bear to read on, as the pain is so so real, but then Anna McPartlin flings in a slice of down-to-earth, Irish humour, and although the heavy and dark themes are still there, there are also the sun-spots of hope and happiness, and love and joy that add another dimension to this beautiful novel. 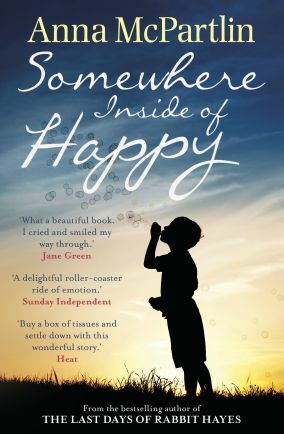 At its heart, Somewhere Inside of Happy is the story of a mother's love, but is also a story about how expectations, beliefs and decisions can change a life for ever. The power of love is strong, but doesn't always overcome everything. Anna McPartlin's background as a stand-up comedian shines through in her writing, she expertly and cleverly combines humour with some of the darkest, most emotional subjects. Somewhere Inside of Happy is warm, often funny, emotionally draining and quite heartbreaking. It is also hopeful and contains a message that is so very important. 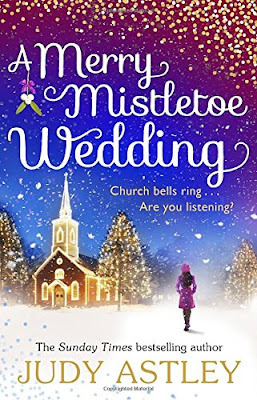 I have the utmost admiration for Anna McPartlin, fans of Rabbit Hayes will adore Maisie, and readers new to this author have such a treat in store for them. Huge thanks to Naomi from Transworld for sending my copy for review and who continues to recommend and send the most fabulous books to me. 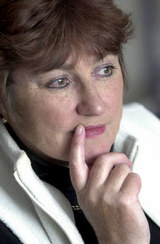 Anna McPartlin is a novelist and scriptwriter. Her previous incarnation as a stand-up comedian left an indelible mark. She describes herself as a slave to the joke and finds humour and humanity in even the darkest situations. Anna lives in Wicklow with her husband and animals. 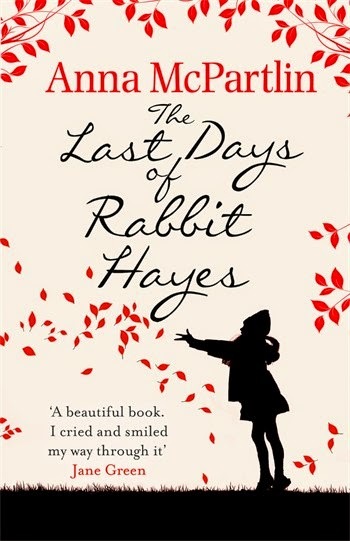 The Last Days of Rabbit Hayes, Anna's previous novel, was a Richard and Judy selected title and a top-ten bestseller in the UK and Ireland. 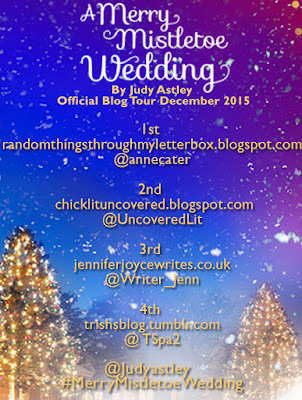 Here's a little 'thing' that is doing the rounds on some of my favourite book blogs. I first saw it on Kate's blog Biblophile Book Club and Joanne from Portobello Book Blog has also joined in. I think it's really great to learn a little more about the people behind the blogs, so thought I give it a go myself. 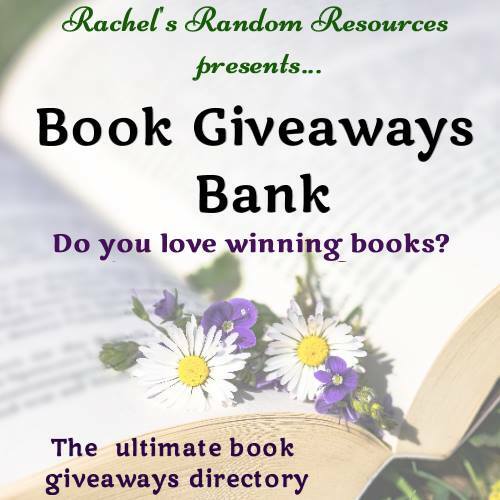 I'm hoping that Leah from Reflections of a Reader will join in too. My middle name is Maria. My Mum tells me that she named me after Julie Andrews' character in The Sound of Music which was made the year before I was born. I guess that depends on where I am, and what time it is. However, I could NOT live without tea. Strong, milky, no sugar, Yorkshire Tea. I work from home and drink gallons of the stuff, the kettle is never cold. I do like a nice Cortado coffee, and am very fond of Greek Coffee too. My alcholic drink of choice is either cider or rose wine. 3. What is your favourite song at the moment? I'm a huge fan of music, and love going to see live bands. In fact, I'm off to see The Levellers tonight at Doncaster Dome, I've lost count of the times that I've seen them, they are pretty fabulous. I don't really keep up with current chart music, but I do love Adele's new song; Hello. Oh Crikey, this one is very hard. I love food! I will try most things once. I couldn't live without fruit, I snack on grapes all day long. I'm a huge lover of potatoes, especially new Jersey Royals, boiled and served with good butter and some salt. Just this morning I bought tickets to a show at Sheffield Lyceum Theatre. This is a Christmas present for my brother and his partner. I won't say what the show is, just in case they read this. Other than that, yesterday I popped to the Co-op and bought a box of Rice Crispies, some cat food and The Daily Mirror. 6. Favourite book of all time? Another almost impossible question that I find so difficult to answer. I love To Kill A Mockingbird by Harper Lee, short but so so beautiful. However, I think my favourite book has to be The Thorn Birds by Colleen McCullough for many reasons, not least because myself, my Mum and my late Nana all read it over a few weeks and spent many hours talking about it. I love that memory. For clothes; black or grey, but I love purple. Oh yes, in fact they own me, I am their slave. Two cats; Costa and Nero. They are brother and sister and are eight years old. Costa is a little madam, Nero is a big fat lazy lump. I don't have a signature scent, or any particular favourite. I use lots of different perfumes. At the moment I really like the Shay & Blue fragrances, I also really like the Ghost range. I think these questions originated from the US, and this relates to public holidays such as Christmas and Easter, but I'm going to answer it in terms of holidays/vacations. I am a total Greece addict. 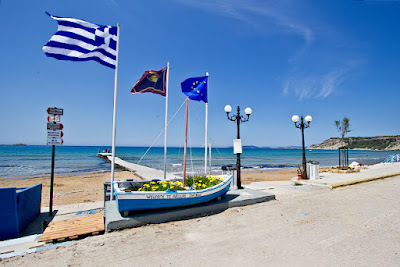 We are lucky enough to have two holidays per year; two weeks in May/June and a week in September and we nearly always go to Greece. Our favourite spot is Arillas on the north west coast of Corfu, with the beautiful island of Paxos coming a close second. I love everything about Greece; the people, the food, the history, the humour, the welcome, the weather. Yes, to the lovely Martin. We got married in the Caribbean in May 1998, just the two of us, it was a perfect day. We are best mates and laugh a lot! 12. Have you ever been out of the country? If so, how many times? Now I KNOW these questions originated from the US!! Yes, I've been out of the country. I spent every summer of my childhood in Ireland, my mother's homeland. When I was eleven I went to France on a school trip. I didn't leave the country after that for many years, except for a couple of trips back to Ireland, until we got married in the Caribbean. Since then we've been to France, The Netherlands, Cyprus, Turkey, Rhodes, Kos, Crete, Corfu, Paxos, Ithaka, Lefkada, Zakynthos and Spain. I really wish that I could speak other languages, and am quite ashamed that I can't. I know a few words in Greek, French and Spanish but it really is just a few words. I have one younger brother, James. He's four years younger than me and lives with his twelve year old son. 15. What is your favourite store? I love shopping and browsing and could happily spend a full day wandering around the shops. I love those shops that sell knick knacks, the things that you don't need but really really want. I adore a good bookshop, both new books and second-hand and I am a dedicated M&S Simply Food store fan too. I don't go very often, as it's quite expensive and really hard to get a table, but I love The Bronze Pig in Lincoln. It's run by a local guy who was a runner up on Celebrity Masterchef and it is perfection from the minute you sit down to the moment that you leave. I'm also a big Nandos fan! 17. When was the last time that you cried? I rarely cry because I'm sad, but often cry from anger and frustration. The last time I really did that heaving, snotty, can't-get-your-breath crying was last year, on the way home after having four teeth implants. It hurt a lot. This is impossible. 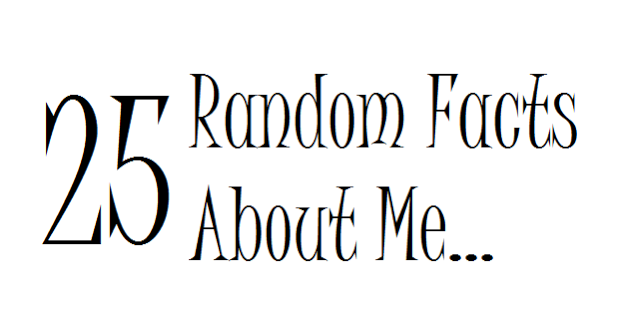 I read lots of blogs, and enjoy lots and lots of them for varying reasons. Apart from book blogs, I also follow Not Dressed As Lamb which is a fabulous style and beauty blog aimed at the over 40s. I'm also a huge fan of foodie blogs, and especially love Yorkshire Pudd. These really are difficult questions! We do go to the cinema quite often, and watch a wide variety of films. I do have a few favourites, but in terms of 'watch again' factor, there are two that I could watch over and over; Dirty Dancing and The Full Monty. No doubt about this one. There are times when our TV stays switched off for a week or more. I find it difficult to follow a series due to daft working hours but I ALWAYS watch Masterchef, all of them. Ordinary Masterchef, Celebrity Masterchef, Professional Masterchef - I love it. I use an old and battered PC that really needs to be replaced. I have a laptop for work. An iPhone 6. I really like it, it's so simple to use and the camera is amazing. 23. What is your favourite pastime? No surprises here; reading is my passion. Yes, and I really enjoy cooking. I have a bit of a cookery book addiction and love looking through them. I almost always cook an evening meal from scratch, and love my slow cooker. I like experimenting, but I'm not a cordon bleu cook in any way, more of a 'chuck it all together and see what happens' sort of person. I don't bake though, I'm a terrible baker. My ears are pierced but over the years I've found it more and more difficult to wear earrings as they irritate my ears. I used to be able to wear anything in my ears, from plastic to gold, but not anymore. I had my nose pierced about twenty years ago and wore a very small diamond stud in it up until a couple of years ago when I lost it and decided not to replace it. I have three tattoos; a (very bad) blue jellybaby at the top of my right leg that really needs to be covered over, it's awful. I have a black celtic design on my ankle that I had done one drunken night in Ayia Napa, Cyprus, I have a quotation tattoo on the inside of my left arm, it reads "When the power of love overcomes the love of power, the world will know peace. ~ Jimi Hendrix"
So there you are, that's me in a nutshell! I really hope you enjoyed reading this. He has looks and wealth, she has charm and elegance. You might not want to like them, but you do. But it's difficult, because you realise that Jack and Grace are never apart. Some might call this true love. Others might ask why Grace never answers the phone. Or how she can never meet for coffee, even though she doesn't work. How she can cook such elaborate meals but remain so slim. And why are there bars on one of the bedroom windows? Behind Closed Doors by B A Paris is due for release on 11 February 2016. Published by Mira, this is the author's debut novel. I have to start my review with one word; Wow! Just, Wow! I picked up my copy of Behind Closed Doors and was loathe to set it aside for even one minute, sadly I have to work and reading it in one sitting wasn't possible. Even so, I raced through this at a hurtling speed, often holding my breath and on occasion, stamping my feet in frustration on behalf of the lead character. Despite this, there were a couple of moments during the book that I HAD to put it aside, the emotional impact is huge and quite consuming, I had to take a few deep breaths, potter around for a while, and then return to the story. Behind Closed Doors is Grace's story, told in her words. We are introduced to Grace and her husband Jack as they host a dinner party for friends in their beautiful home. Jack and Grace have been married for just a year, they seem to have it all; money, good looks, the stunning house, the holidays abroad. They appear to be a loving couple, staying close to each other at all times. Jack clearly adores Grace and his friends and colleagues are pleased that he has finally found the woman of his dreams, after all, he's forty now and very successful in his career as a lawyer, specialising in representing the victims of domestic violence. Meeting Grace and marrying her, although very quickly, has made his world complete. There is a dark undertone to Grace's words. Without actually saying anything specific, the reader is fully aware that what is seen on the outside is quite possibly concealing something very very different. Grace comes across as quite flat and expressionless, and that is not a criticism, it is proof that this author can handle dialogue and meaning very very well. You see, Grace is quite flat, her emotion and expression have been silenced so many times that she has to choose every word and every action so very carefully. Why? The story goes back to the past, and the book continues in this way. Alternative chapters; one from the present, one from the past and all narrated by Grace. The reader learns how Grace was a hardworking food buyer for Harrods, travelling the world and very happy. Her parents were emotionally distant from her and her main concern in life was to ensure that her younger sister Millie was happy. Millie is seventeen and lives at a residential school, she has Downs Syndrome. Grace and Millie are so very close, and due to their parents lack of interest, it is assumed that Grace will care for Millie when she leaves school. We learn how Jack came into Grace's life. Handsome, kind and caring, in no time at all he captured her heart and it was clear that he adored Millie too. Their courtship and their wedding, and then the beginning of their married life, and for Grace, it is also the beginning of something that she really hadn't expected. As the past and present stories are told, they gradually collide and the anticipation of what may come next is incredibly tense as the pace moves, and the reader realises what may be about the happen. B A Paris is very very gifted author, this story is incredibly well written and deals with the darkest and most evil of issues. There are times when the futility of Grace's situation made my heart thud, I could sense her panic and fear, so expertly expressed by this author. The malevolence and venom, the out and out lunacy so carefully hidden is chilling and really very unsettling, but oh so brilliant. 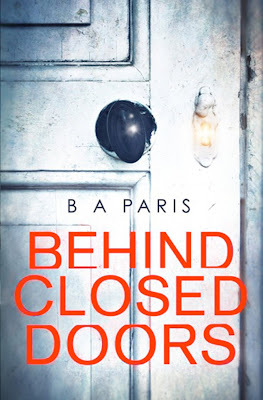 I am very very impressed by Behind Closed Doors, it is clear that B A Paris is a very talented author and one to watch out for. Available for pre-order, I'd recommend you do so, now! B A Paris is from a Franco/Irish background. 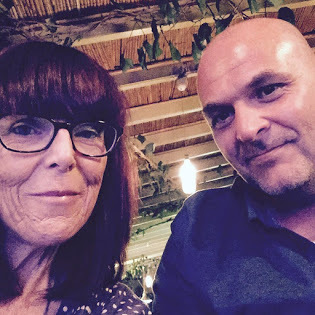 She was brought up in England and moved to France where she spent some years working as a trader in an international bank before re-training as a teacher and setting up a language school with her husband. They still live in France and have five daughters. This is her first novel. 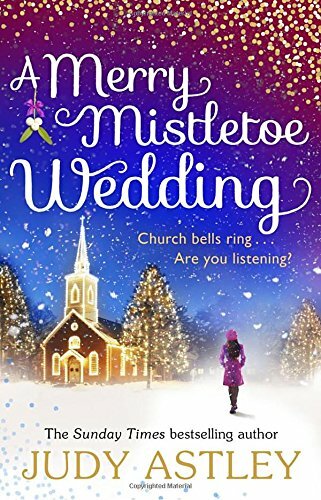 Neither Thea or Sean want a big fuss - a simple wedding, with Christmas lights and just a few sprigs of mistletoe for decoration is all they need. But before they know it, things begin to get complicated. Trying to manage a long-distance relationship in the build-up to their Christmas wedding is one thing, but as one challenge after another comes their way, the happy couple begin to wonder if they'll ever make it down the aisle . 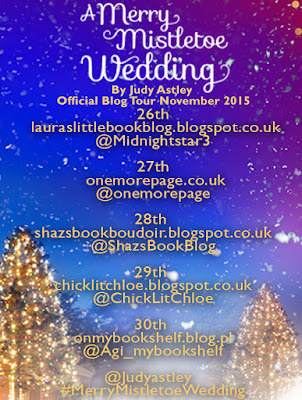 . .
A Merry Mistletoe Wedding by Judy Astley is published by Black Swan on 3 December 2015, and I am delighted to be a host on the Blog Tour for this really wonderful seasonal read. 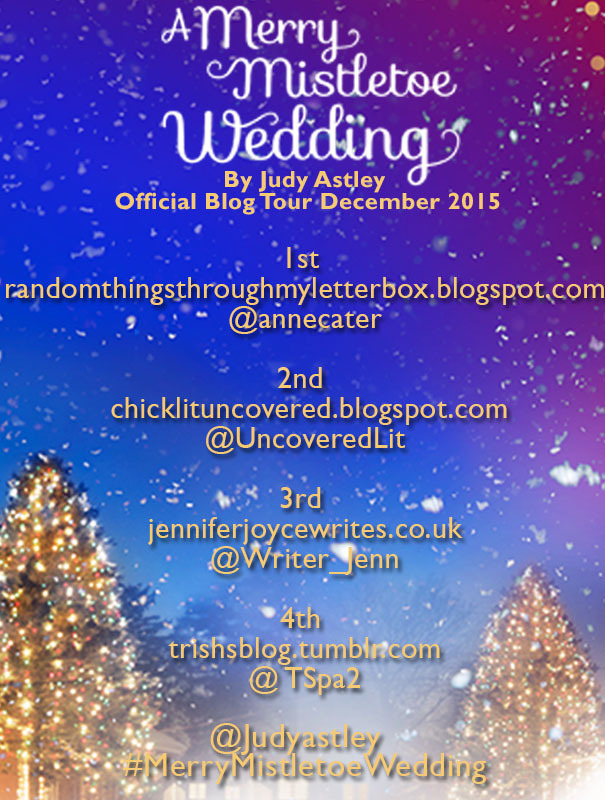 I don't usually read Christmas books, but last year I made an exception and hosted the Blog Tour for It Must Have Been The Mistletoe by Judy Astley, and this year I am thrilled to return to the characters we met in that book, one year later ... for us, and for them. 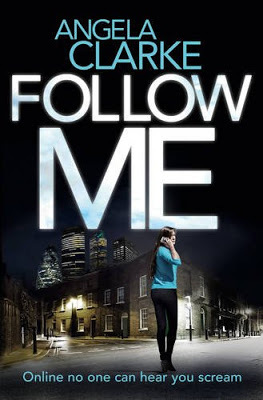 Yes, this is a sequel, and yes it would be great if you've read last year's book, but no need to worry if you haven't because Judy Astley is a very skilled author and incorporates enough of the background story into this one to make it fabulous stand alone story. met a year ago. They want a simple ceremony, with a beach BBQ wedding breakfast and no frills. So very different to the wedding that Thea almost had; the wedding where her fiance got cold feet at the last minute, with a meringue dress bought and ready and the invitations almost ready to be sent out. Thea would love for her whole family to join them on their big day, but her sister Emily is proving to be a problem. Emily recently gave birth and her behaviour has been strange to say the least since little Ned arrived. Emily is also terrified that it may snow. It snowed last year in Cornwall and the family were trapped in their holiday home ... Emily has never quite got over that. These characters are truly wonderfully drawn. A big, bustling family with lots of members, but each one is finely created, with their own individual features and characteristic. Anna and Mick; the ageing hippy parents. Rosie; the 'speak first, think later' sister-in-law. 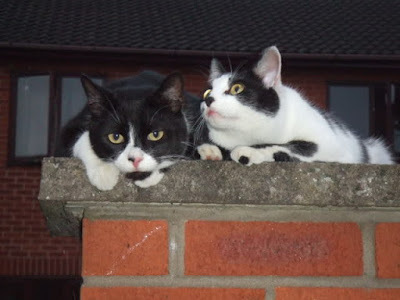 Alfie and Millie, the two youngest members of the family and of course, Charlotte; not really a blood relation, but someone who becomes the lynch pin, the saviour of them all. 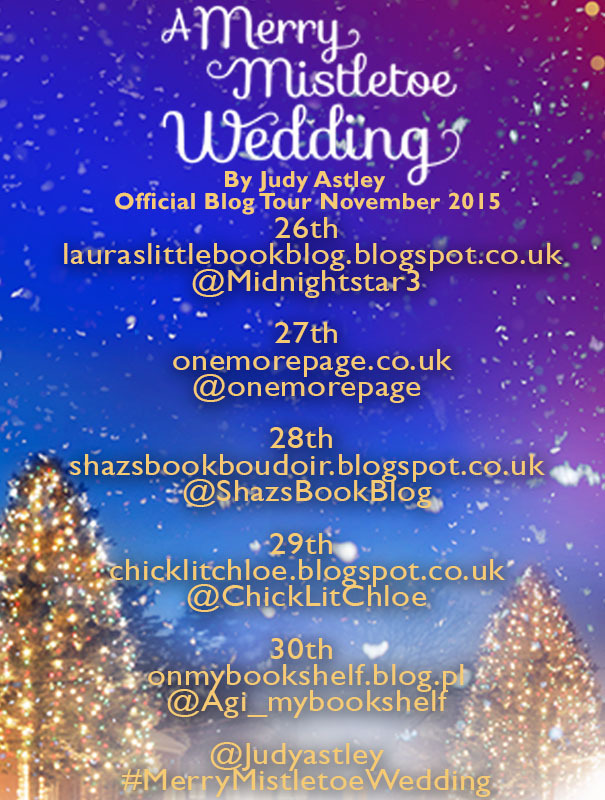 Amongst the Christmas and wedding preparations, Judy Astley also deals with some more serious issues, especially around Emily and her sudden change in character. This is done sensitively and will compassion, and just a little humour, and Emily, who could quite easily have been an annoying, hateful character who spoils the whole show, becomes one who probably has the most depth. I have been reading Judy Astley's books for many years now, and she has never disappointed. Her writing is warm and witty. Her characters are life like and her Cornish settings are enough to make anyone pack their bag and make their way down there immediately. A real treat. Born In Lancashire, Judy Astley has lived for most of her life in Twickenham, and was a dress designer and painter before writing her first novel, Just for the Summer,in 1994. She has two grown-up daughters and lives with her husband in Twickenham and Cornwall.